Carpet Cleaning Glendora offers carpet, rug, and upholstery cleaning, water extraction services, professional air duct cleaning, water damage restoration, grout and tile cleaning, wood floor cleaning and buffing, and many more cleaning services for any home or office space. 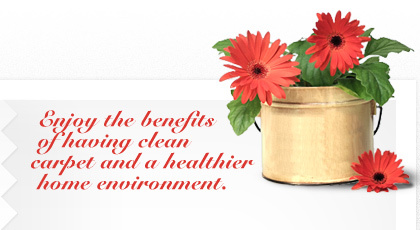 Our services are always taken on with the objective of purifying indoor air quality by means of cleaning various bacteria harboring elements, such as the ones mentioned above. When interior air quality is a concern, we will assess the situation and determine what further services are necessary to best improve the air quality in your indoor space. Indoor air quality has become a concern for many over the past few years. With air quality testing, it is now possible to pin the part of the blame on mold in air ducts, bacteria in carpets, and mildew in wet basements. Each of these pathogens has the potential to cause significant medical issues if left untreated. 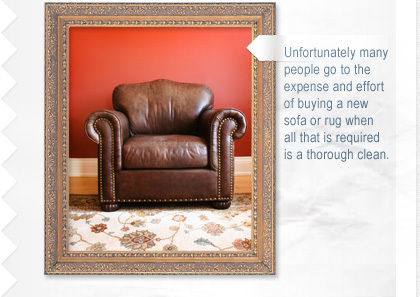 Carpets are almost always contaminated with unwanted germs from bacteria. They are, however, invisible to the naked eye and therefore often glanced over. To remove bacteria from carpets, a professional carpet cleaning is the best solution to make sure the job is done right. An untrained eye will not be able to spot areas more contaminated than others and will certainly not be aware of the best cleaning combinations to use on your particular carpet fiber. Professional cleaning of air ducts to remove mold has become increasingly popular as homeowners try to maintain the highest quality of air possible in their home. Air flows in and out of air ducts and if mold is present, it may reach the inside of the house without the proper cleaning. Our cleaning technicians are also certified to investigate your air ducts and check for the presence of mold or any other harmful bacteria that might be circulating in your air. We Do Much, Much More! Carpet Cleaning Glendora also deals with flood water extraction and damage restoration. Since standing water is another source of unwanted bacteria, mold, and mildew, if it is left untreated, these harmful substances can spread to a building's structural beams and jeopardize a building's integrity. In order to minimize the chances of such destruction, our cleaning experts will extract and dry the remaining water bits with industrialized fans and dehumidifiers as well as sanitize indoor furnishings. For more detailed information on any of the services listed above for to inquire about additional services, please do so by contacting our customer service representatives today.